Kenex Coatings | Kenex Coatings: providing superior service and quality painting at recession-proof prices. Kenex Coatings: providing superior service and quality painting at recession-proof prices. environmental paint room;Is an enclosed paint booth that protects parts from contaminants and prevents paint from escaping into the environment.a 3-stage iron phosphate wash;A 3-stage wash ensures proper cleaning of parts before paint application, thus ensuring a strong bond between paint and material. This reduces chipping and extends the outdoor life of the product.12 automatic paint gunsAutomatic paint guns ensure an even and consistent finish compared to manual guns which rely on human accuracy. and a cool down tunnelThis brings cured parts to room temperature, thus ensuring a complete cure before packaging and handling.. These innovative features enable us to provide a top quality finish on both MDF and metal parts. Our customers’ needs dictate our actions. A satisfied customer is our only chance at repeat business! Free Prototypes and Low Set Up Cost! Powder coating is far preferable to wet paint for many various reasons. Primarily because it is environmentally friendly: there are no fumes; no lead paint is used; up to 98% of paint can be re-used and the PVC’s that are present in wet paint are totally absent. 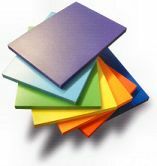 Additionally, there are thousands of colours and textures to choose from to enhance your product. Powder does not require a primer, and a one coat application enables thicker coating with provides enhanced durability. For many products, powder is a more cost-effective finishing method.